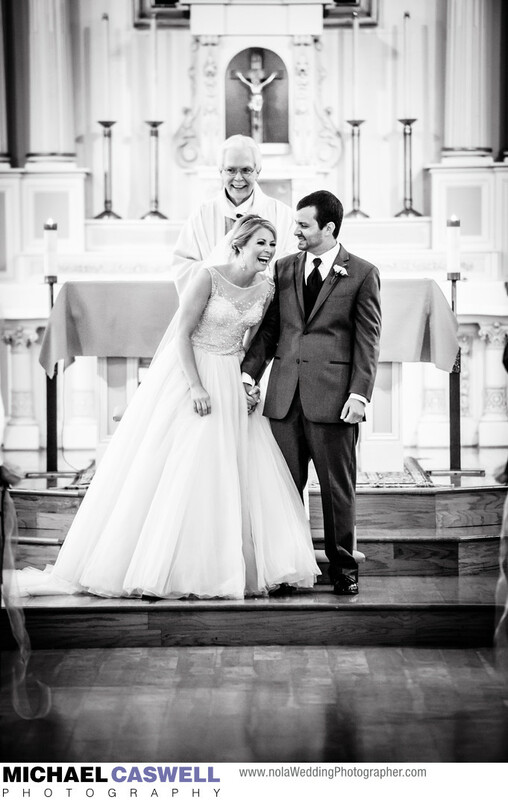 Carleena and Seth share a lighthearted moment in this black and white image captured near the end of their wedding ceremony at St. Charles Borromeo Catholic Church in Grand Coteau, Louisiana, a small town located just outside Lafayette. I had also photographed Seth's sister's wedding a few years prior in New Orleans, and it was great to work with this wonderful family again. Cassie Thibeaux of Southern Fete coordinated the event and was a pleasure to work with. A good wedding coordinator can really do wonders to help make the entire day go smoothly. Location: 174 Church St, Grand Coteau, LA 70541.